Jamie Gold was born in New York City on August 25, 1969. He is the 2006 World Series of Poker Main Event Champion, and may be the most hated Main Event Champion in the history of the event. At the poker tournament, his arrogant attitude rubbed players the wrong way, he had severe breaches of etiquette, including flashing his cards and telling people what he had. Jamie Gold was also involved in a lawsuit when he reneged on deal to give a friend half of his winnings for his help in getting celebrities to wear Bodog Poker apparel in the poker tournament. The lawsuit has been settled, but it is another incident that has not helped Jamie Gold’s image. Even his play has been heavily criticized, and given his lack of success at post-WSOP tournaments, there may be something to this criticism. After the win, Jamie Gold signed a two-year deal to represent Bodog Poker, but Bodog ended the deal in January 2007, saying that they’ve decided to concentrate their marketing efforts in Europe. Additionally, Jamie Gold is a television producer and former talent agent from Malibu, California. He has helped several talents become stars in the entertainment industry. One of his most notable successes was Sopranos star James Gandolfini. 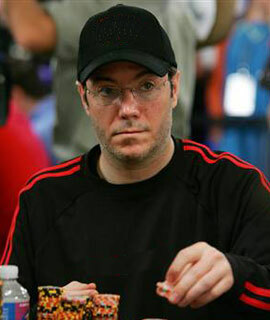 In his poker career, Jamie Gold has made more than $12 million. His favorite game is Texas Hold’em and his hobbies include television production and live music. Jamie Gold has said that he loves his job and is going to keep it, playing poker only on the side. Jamie Gold is also a neighbor of the 2000 WSOP Main Event Champion, Chris Ferguson, aka Jesus.